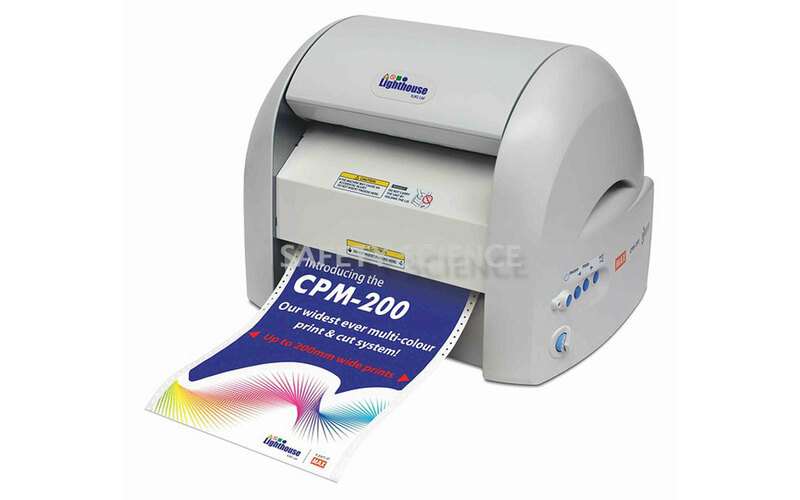 We are very pleased to announce the new CPM-200 ! Print and cut out on vinyl, 200 mm wide x 2.000mm long. Multicolor and full color print in 300 dpi resolution. Automatically cut out any shape of your printed labels and signs. Print barcodes and sequential numbering from a database. Innovative Microsoft Certified software, containing more than 3.700 symbols and signs.